Here at Wicket Gate we strive to produce fine family pets for our buyers. All four of our dogs are our family pets. Our breeding dogs have passed the test of producing healthy happy puppies that learn quickly and fit in well with their new families. Thus far our customers have been very pleased with our Airedoodles! 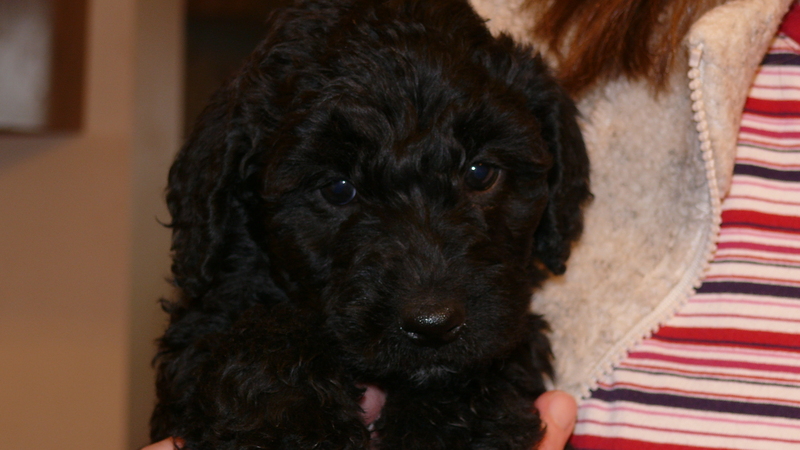 Pup from Nellie's 2011 litter. Notice that the only difference in the website is the absence of the word 'tripod' in the name.